0	0	How To Be A Bible Princess	In Stock - Order before 4pm for same day dispatchWant it on Wednesday 24 April? If you were a princess you'd have the best wardrobe in the world with new dresses in it every day - and a tiara to match. But is that all there is to being a princess? And what does it mean to be a Bible princess? Abigail, Jehosheba, Esther and The Queen of Sheba were women who honoured God. They were also royalty! Pharaoh's Daughter and Michal were princesses who showed bravery but did they follow God? Jezebel and Herodias? Daughter are two royal women who did not love God. All these women are in the Bible and all can teach us, in their own way, how to be a Bible princess, a daughter of the King of kings, women and girls of righteousness. How To Be A Bible Princess by Catherine MacKenzie was published by Christian Focus Publications in May 2012 and is our 2892nd best seller. 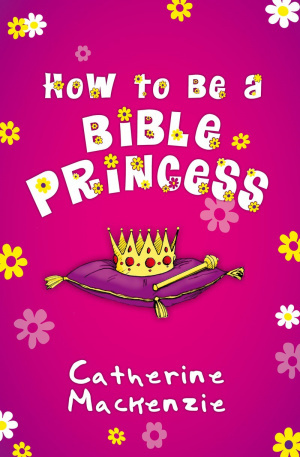 The ISBN for How To Be A Bible Princess is 9781845508258. The publisher says it is for ‘Children’s teaching and Guidance’ an excellent description. How to be a Bible Princess tells the story of eight Bible princesses – not always the obvious one in the story; six good and two bad. Starting with a series of questions (with hopefully obvious answers!) then the story, followed by teaching, explanations of words and further reading suggestions from the Bible, each princess brings a different angle on what being a Bible Princess is all about. Enjoyable enough to be read and re-read, and with good solid teaching therein. Got a question? No problem! Just click here to ask us about How To Be A Bible Princess. What age is this book suitable for? A:The publishers suggest this book is suitable for children aged 8-12 years old. However, judging by the cover, the book seems more likely to meet the expectations of readers toward the younger end of this range.